Christmas is over and that means many posts about gifts will appear on the blogs this week! Since we don't celebrate Christmas, I decided to treat myself on a few little presents. Oh, and I got some Christmas presents from my sweet colleagues too! I'll start with the things I bought myself. 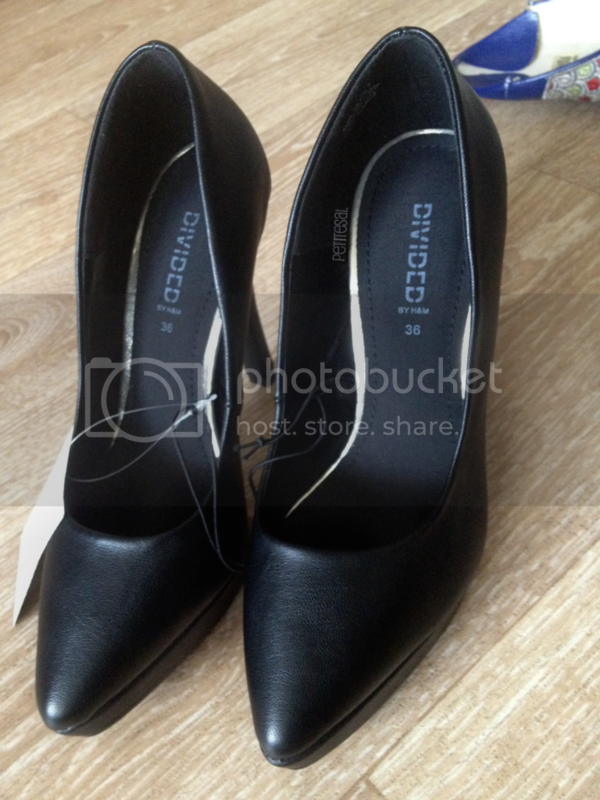 First, a pair of simple, black heels. Every girl should have at least one pair of these. My favourite pair of black pumps give me blisters, so I needed replacement. These are fake leather. I tried them on and they are so comfortable! 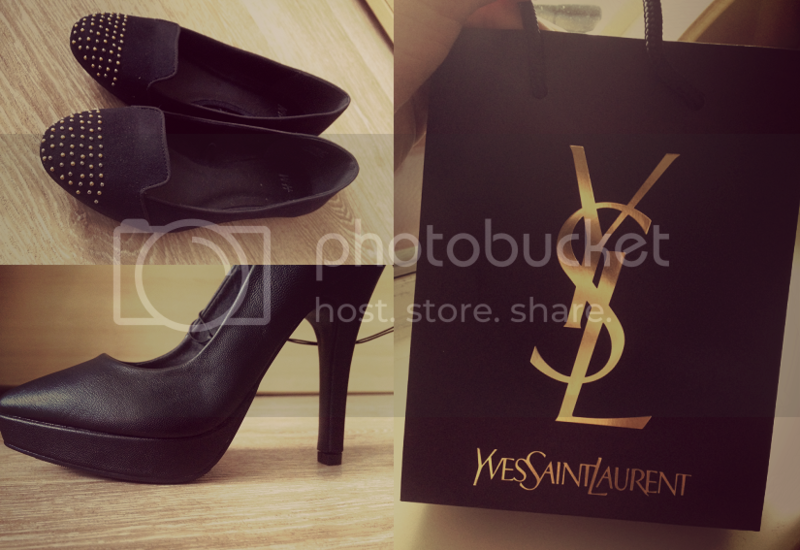 The heel is 12 cm and the platform is 2 cm. Just simple, faux suede flats. Love the silver and gold details. 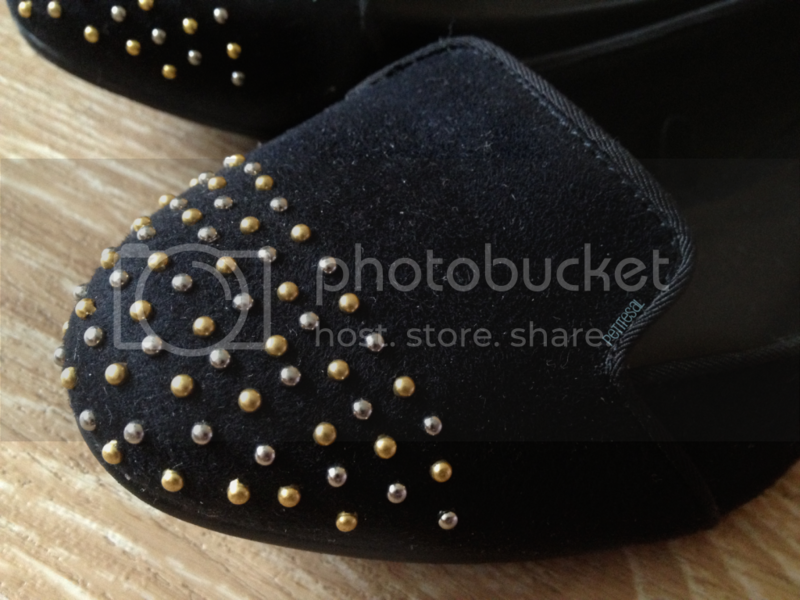 The fact that the little round, studs have both colours, makes it easy to combine with both silver and gold jewelry. I have to say, they're not comfortable. At. All. I wore them two times to try them and ouch. Maybe they need to adjust to my feet, but until now.. Very hurtful. I bought these at H&M for €19,95. Now, so let's talk make up! 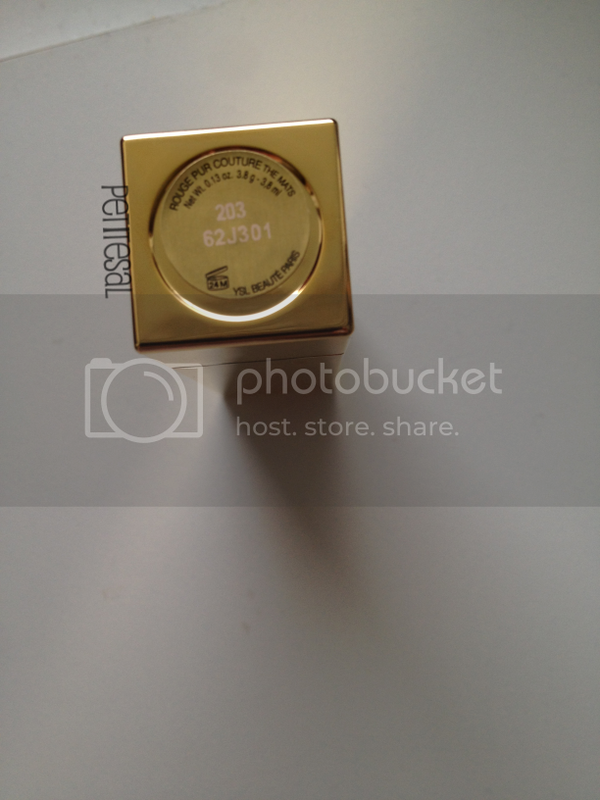 When I went make up shopping, I actually wanted to buy a more neutral or pink colour. I went to MAC for a concealer, wearing a lipstick I'll discuss next, and the girl told me I should try a red lipstick with a brown undertone, instead of a blue undertone. That would look more classic with my brown eyes. I tried it on, forgot about the concealer and bought it. Red lipstick is my weakness.. 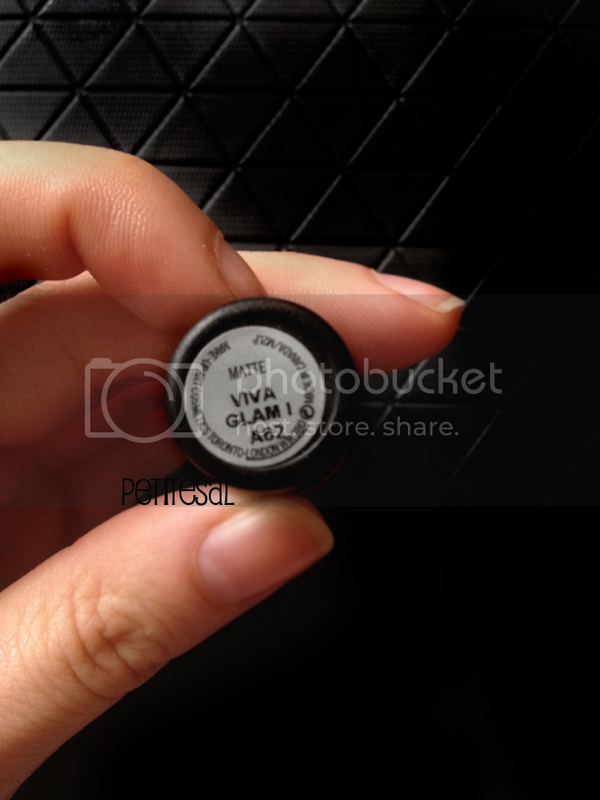 Anyway, Viva Glam I is a red, matte lipstick with a brown undertone. It's such a beautiful shade. I saved the best for last. ISN'T SHE A BEAUTY?! 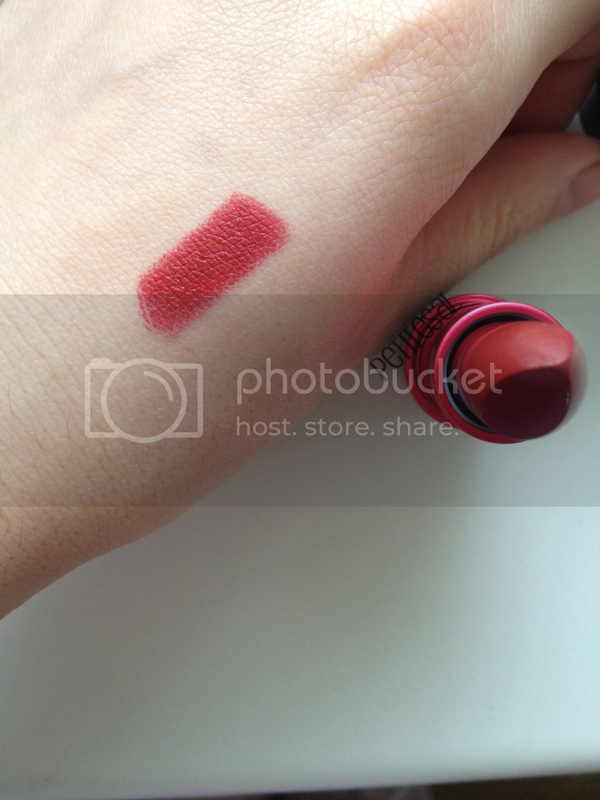 A while ago my colleague wore a beautiful red lipstick and I had to know which one it is and buy it. So that's what I did. 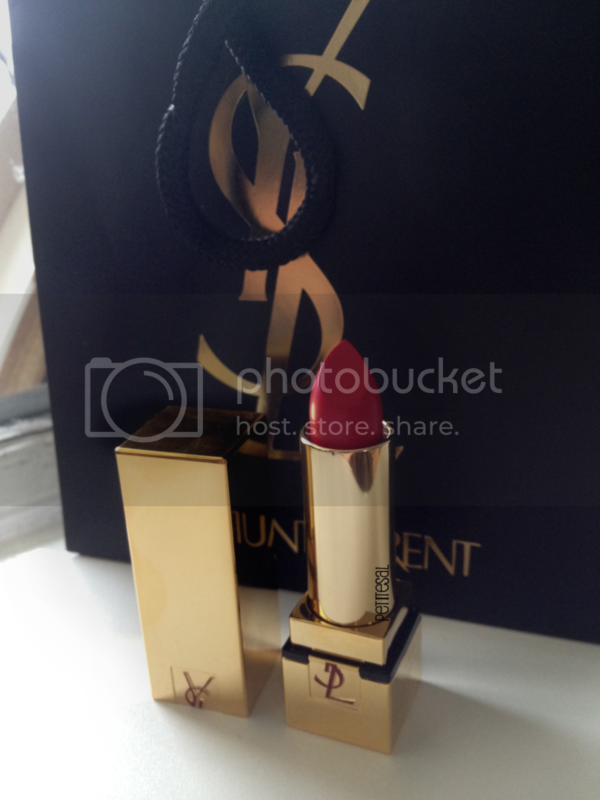 I went to the Yves Saint Laurent counter and matched the red shade that suited me best and I took it with me. No hesitation, no doubts, no thinking. I fell in love immediately! This is also the red lipstick I was wearing when the lady from MAC matched me with a different shade. Please don't judge me for buying two red lipsticks on one day, while I already have a few. 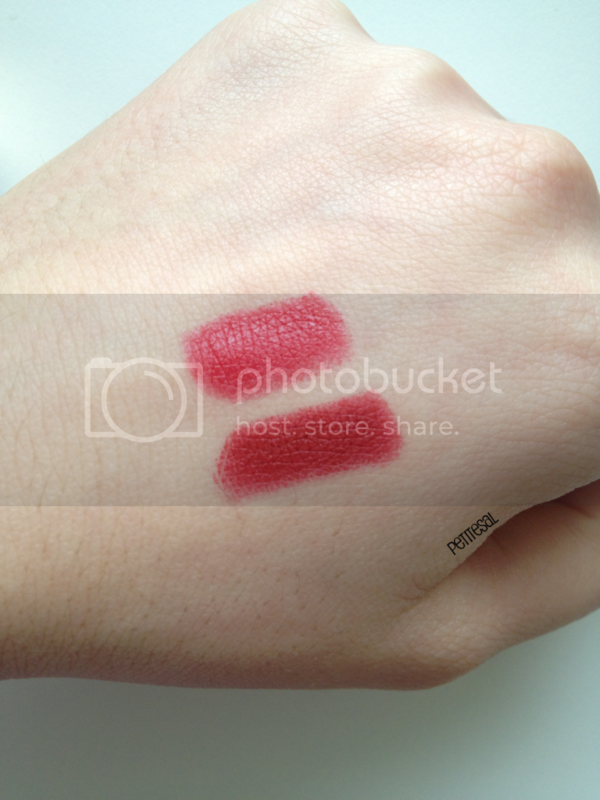 I put the two swatches next to each other, and they really are different! You see?! The one on top is the YSL lipstick. This swatch doesn't do the colour any justice. Don't worry, reviews will come! 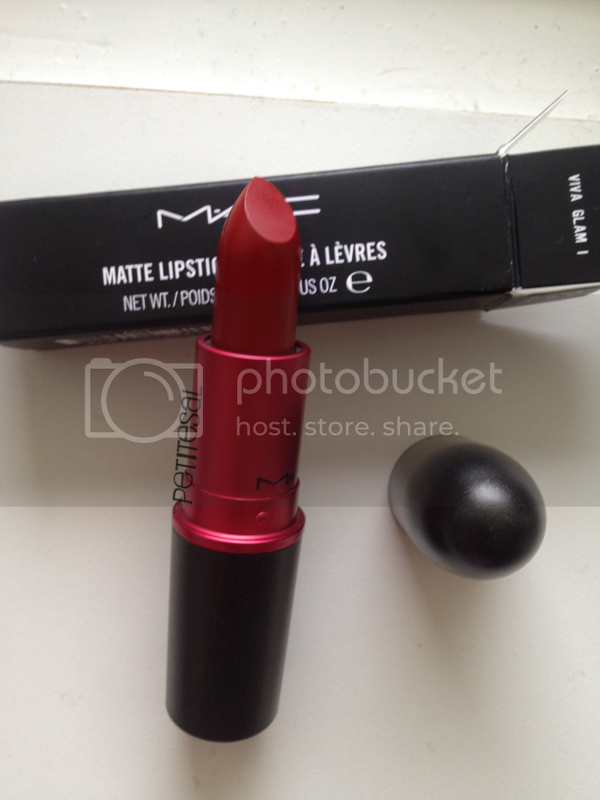 The red below is the MAC lipstick. 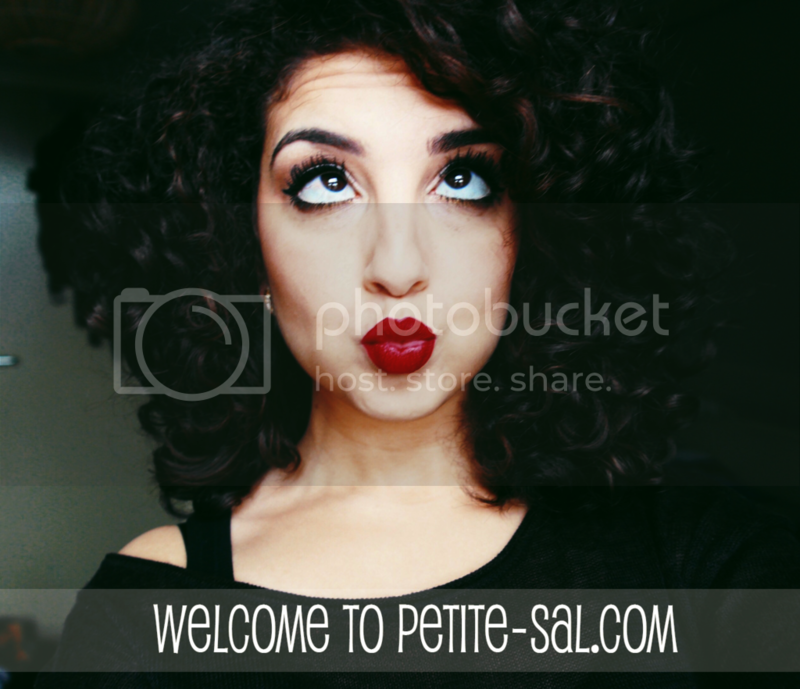 A beautiful, deep red colour with a brown undertone. As you can see: all I need in my life is black and red! So I spoiled myself with these things. 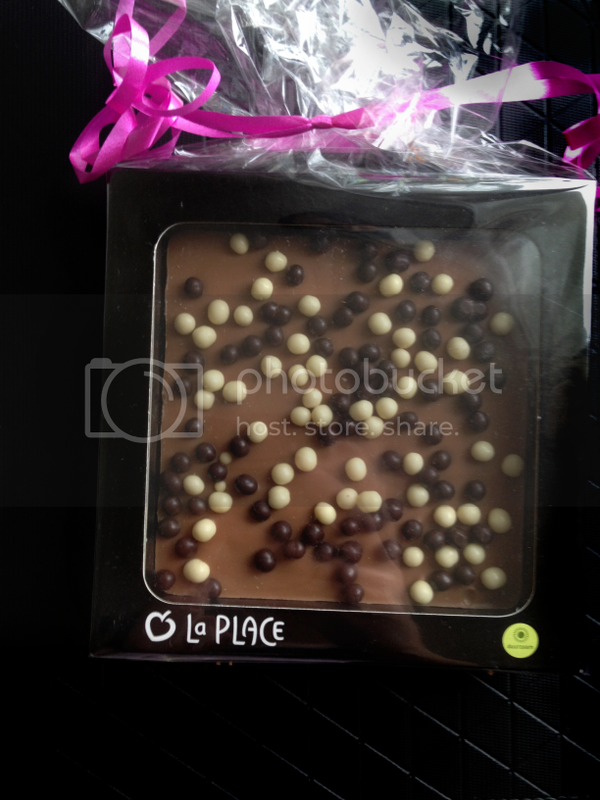 Yes, it was necessary to brag about the fact that I got chocolate. You have no idea how important it is for me to share this with you! 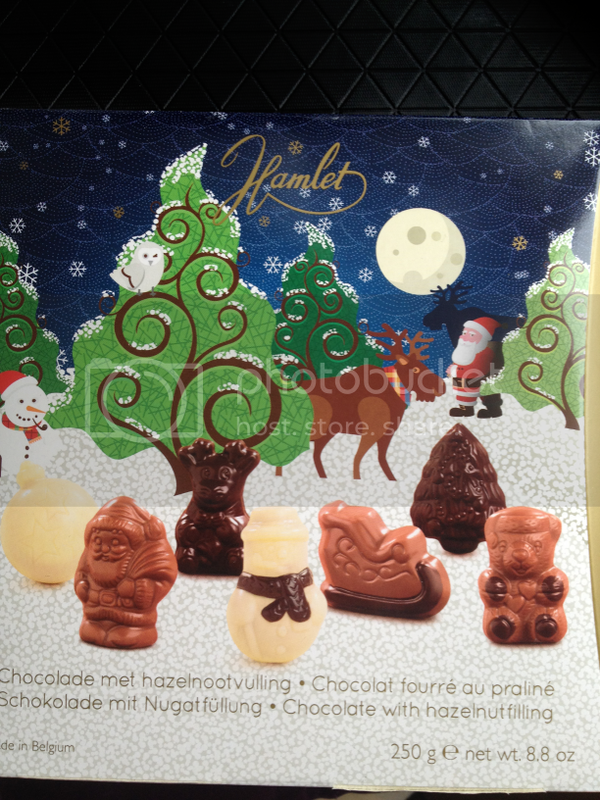 I feel spoiled, blessed and hungry, so I'm going to eat some of the delicious sweets my colleagues gave me! Hope you liked seeing my - not so many - Christmas presents! Please send me a link to your Christmas presents. I'd love to see them! 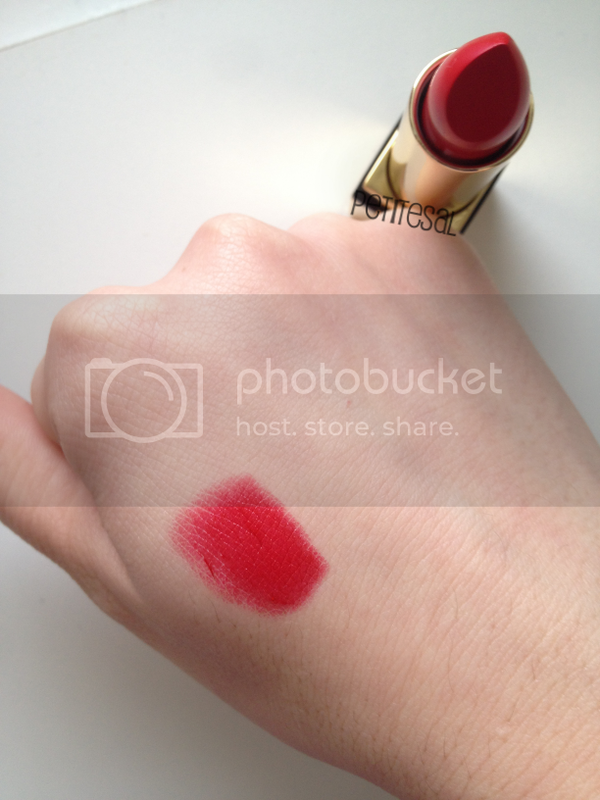 Lovely items, you can't beat red lipstick! 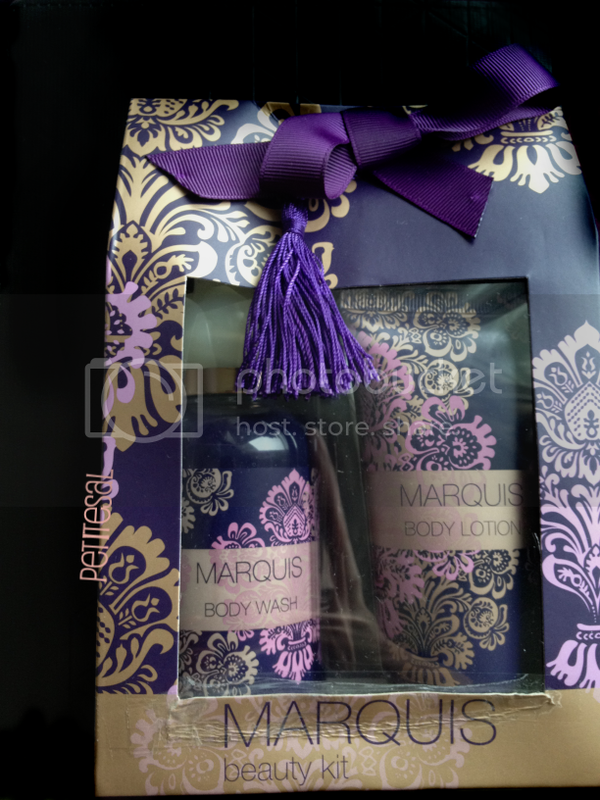 I received the Rituals whipped body cream in my glossybox and its really nice, xoxo. Red suits really suits you, the lipsticks are lush! Love the YSL lipstick and those studded flats! It looks like you bought yourself some really nice bits. The studded shoes are super cute and the red lipstick is a great colour. If I didn't celebrate christmas I would buy myself some gifts too! Waauw, wat een mooie dingen. Die YSL lippenstift heb ik ook. Ben er echt onwijs blij mee. 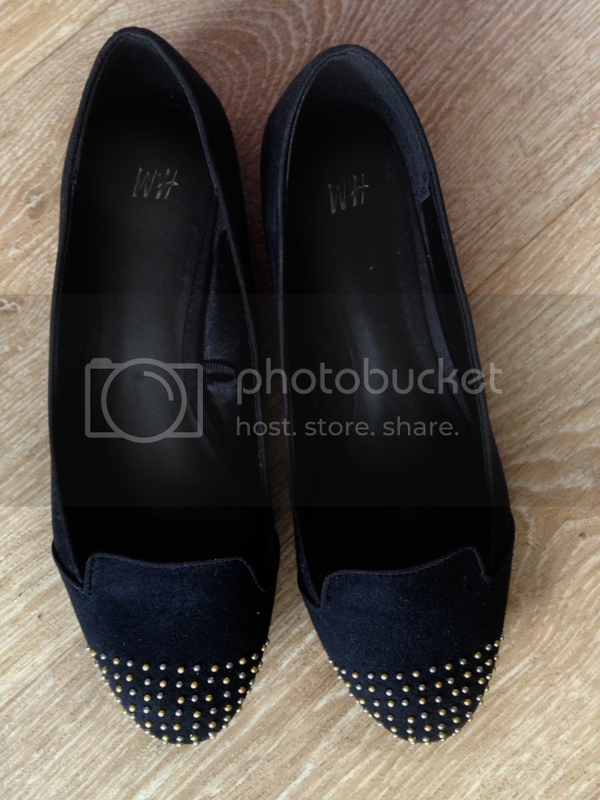 Black shoes are the best, I love both of them especially the studded ones! I don't ever wear flats but these make me wish I did. 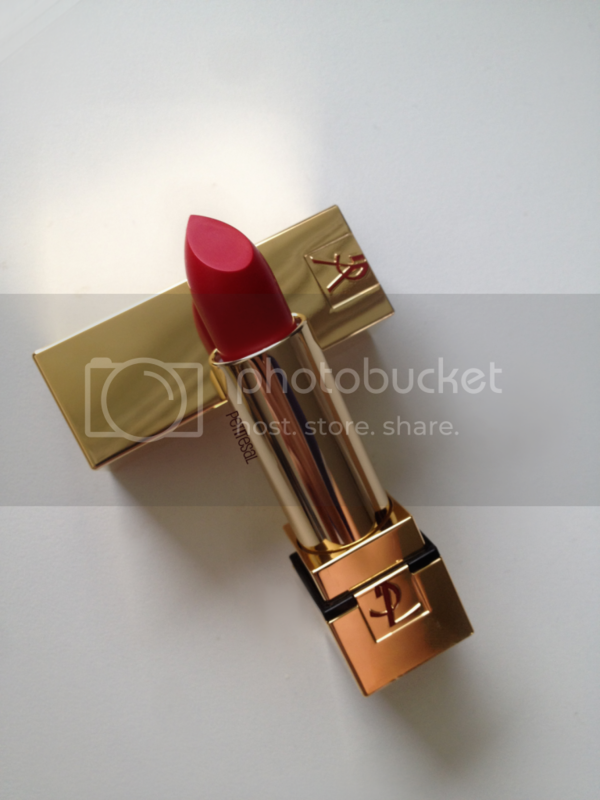 And I've already told you how gorgeous the YSL lipstick is, it really is! And the mac one too. Black shoes ARE the best! You never wear flats? Like ever?? I'm really glad you liked it, Arwa! I feel you with the red lippies, sistah! Girl can't have too many red lipsticks is my life motto :P (I think I have only 4 atm, but still 4 more than many other girls :D). I need burgundy red tho. I wish we had mac here. Both looks so pretteh! I love what you got. I love these black shoes with heels (the higher the heel, the closer to heaven!- another life motto, good thing we're small :P). Those H&M shoes weren't comfortable for me, but they are so pretty! Love the flats, definitely in need of them! those lipsticks look gorgeous! love! hi Happy newyear! great pics and i wish you the best.